The last generation of conventional submarines allows several weeks of submersion, creating a need for regenerative air purification methods and new air monitoring instruments. 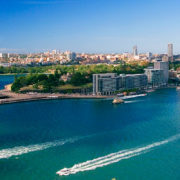 Submarine air is a complex mixture of compounds, where the most obvious contaminant is metabolically produced carbon dioxide. Normal eight-hour occupational exposure limits are not applicable on a submarine, instead special long-time exposure limits are set. A number of air purification methods for submarines are either available or under development, e.g. cryogenic plants, biological plants and solid amine plants. For air monitoring, the OFCEAS method is an interesting option, already in use on-board nuclear submarines. The main contaminant of submarine air is CO2. In ordinary buildings 1000 ppm is usually considered as a maximum concentration. This value is not based on health effects but on the rate of ventilation. In submarines, higher CO2 concentrations are permitted, usually 5000- 7000 ppm. A submarine atmosphere consists of a large number of contaminants such as ozone, which can be formed in electrical devices and hydrogen, which is formed when the batteries are charged. To ensure the health of the crew on short and long term, it is important to specify the permitted composition of the submarine atmosphere. Table 1 shows a submarine air specification for a conventional submarine. Since the crew is continuously exposed to the submarine air for several weeks, normal eight hour occupational exposure levels are not applicable and special exposure limits must be determined. Maximum Permissible Concentrations (MPC) are set for an exposure time of 90 days for a number of compounds likely to be found in a submarine. They have also set emergency MPC’s for 24 h and 60 min. 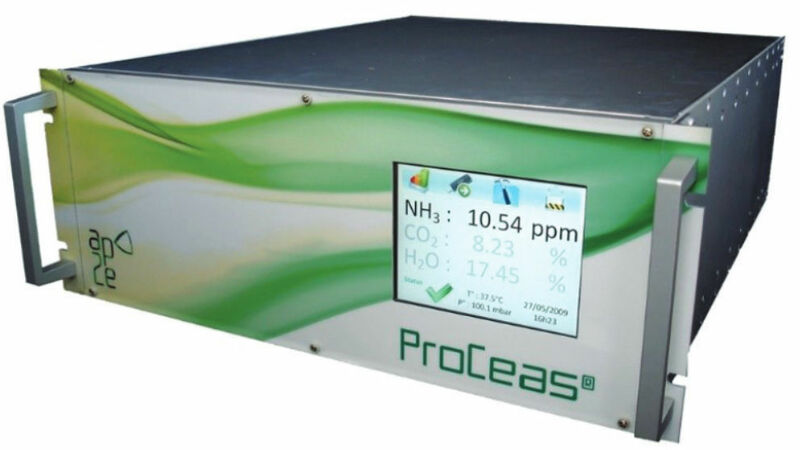 The ProCeas® NAV is designed for online monitoring of CO2, CO, Freon, H2S, H2, O2, Formaldehyde (…) in nuclear and conventional submarines. 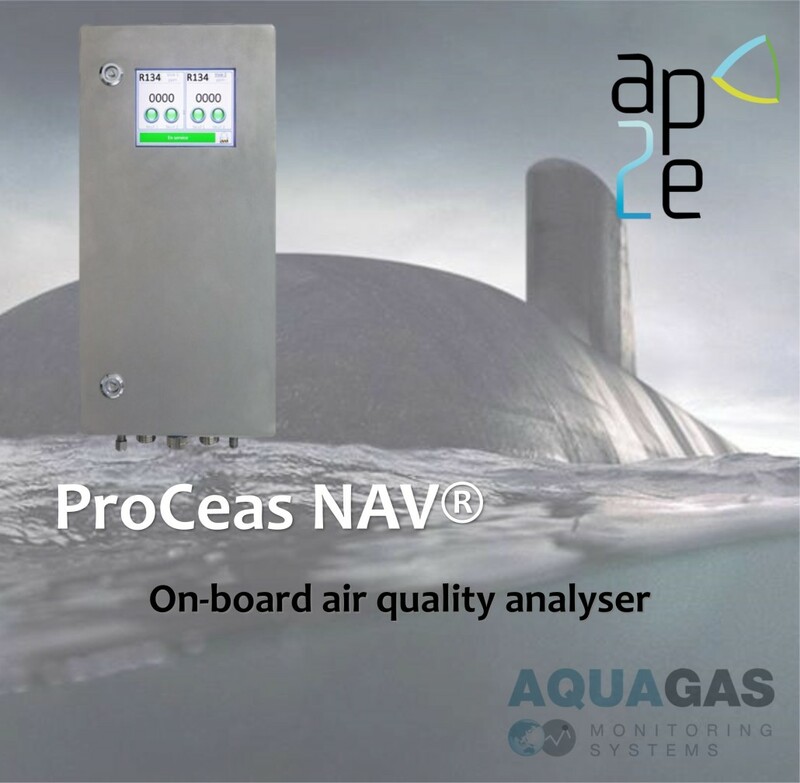 The ProCeas® NAV uses the OFCEAS method commercialized by Ap2e of France. The OFCEAS system uses a high-finesse optical cavity to provide path lengths of tens of kilometres. Moreover the OFCEAS technology can also, in certain configurations, take advantage of broadband light sources to provide multi-component analysis, while offering improved sensitivity when compared with shorter path-length methods, such as Tunable Diode Laser absorption spectroscopy (TDLAS). The ProCeas® NAV analyser has been designed to endure large temperature variations, high vibrations and englobes all criteria required by the military environment to assure long-term crew member health in a confined environment. No Zero drift and no Span drift – No daily calibration required – No nitrogen, zero air, purge or other carrier gas. 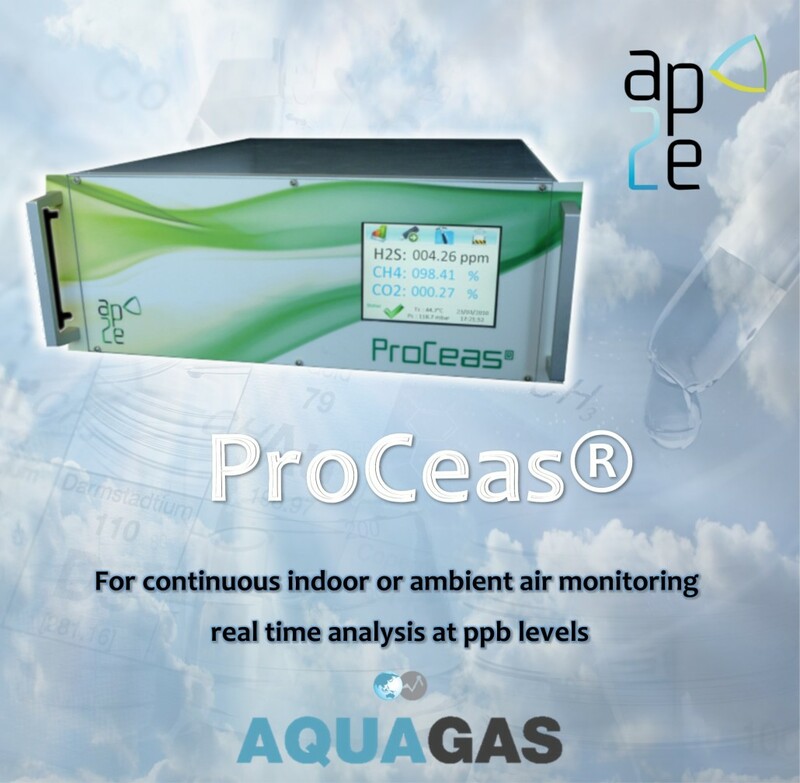 For continuous ambient and indoor air quality monitoring (real time at ppb levels), the ProCeas® spectrometer is equipped with a laser at a single wavelength used to determine the concentration of a specific compound with an extremely low detection limit and fast response time. The OFCEAS extended optical path and continuous signal feedback provide a high definition spectral response using what is essentially a traditional absorption measurement. 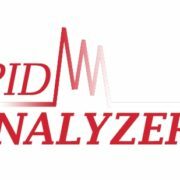 As per the international OH&S regulations on Formaldehyde, Hutchinson, subsidiary of TOTAL, evaluated several technologies to implement continuous real-time monitoring of Formaldehyde at their Plant facilities. The ProCeas® has been selected by Hutchinson as the technology the most suited to their monitoring needs in terms of response time, accuracy and flexibility around the integration within the mainstream of their installation. 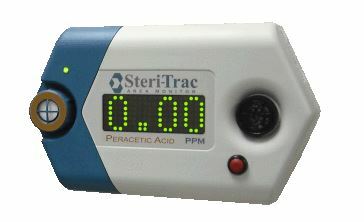 Hutchinson uses the ProCeas® to measure various level of Formaldehyde in the air at 3 separated sampling locations: laboratory, offices & entrance hall. Since sterilant gases are selected to destroy a wide range of biological life forms, any gas which is suitable for sterilisation will present a hazard to personnel exposed to it. The NIOSH Immediately Dangerous to Life and Health values (IDLH) for the three sterilant gases are 800 ppm, 75 ppm and 5 ppm for ethylene oxide, hydrogen peroxide and ozone respectively. For comparison, the IDLH of cyanide gas (hydrogen cyanide) is 50 ppm. 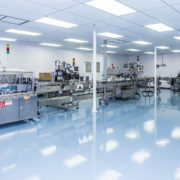 Thus exposure to even low levels of sterilant gas should not be treated casually and most facilities go to great lengths to adequately protect their employees. In addition sterilizers (as with any mechanical device) can and sometimes do fail and leaks have been reported. 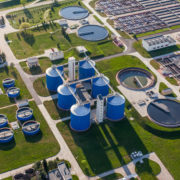 Continuous gas monitors are used as part of an overall safety program to provide a prompt alert to nearby workers in the event that there is a leak of the sterilant gas. 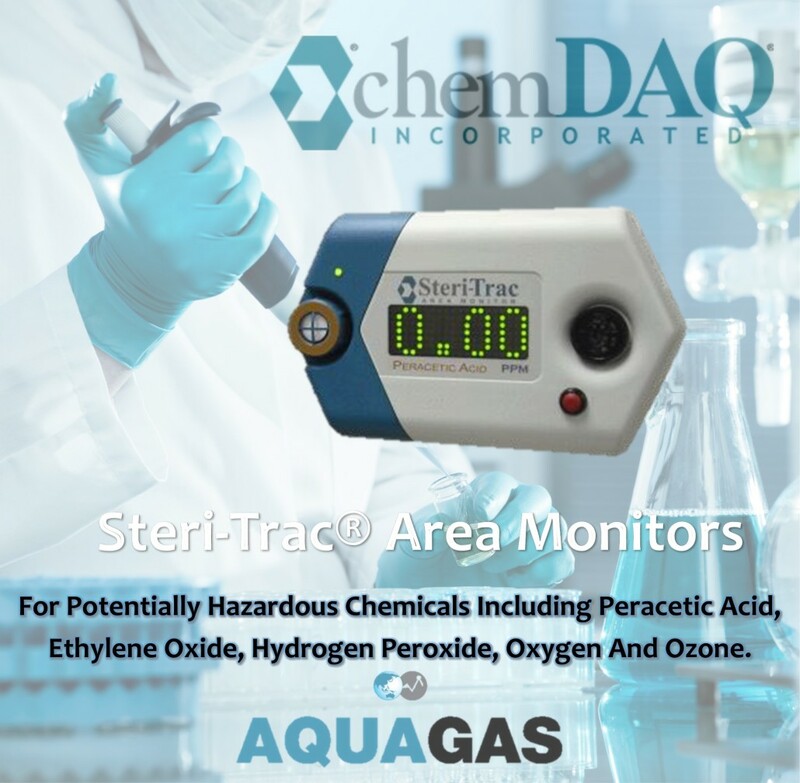 The monitor alarms are typically set to warn if the concentrations exceed the OSHA permissible exposure limits (PELs), 1.0 ppm for ethylene oxide and 1.0 and 0.1 ppm for OH&S and ozone respectively. The PELs are calculated as 8 hour time weighted average values. 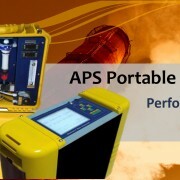 In addition to providing continuous monitoring, the better gas monitors include a computer based data acquisition system provides automatic data logging to assist with compliance with OSHA’s regulations and impending alarms that allow users to rectify problems before they become a hazard. There are several technologies that are commonly used for the detection of sterilant gases, the main three being electrochemical, gas chromatography and metal oxide semiconductor. All three technologies are suitable for ethylene oxide, but only electrochemical sensors are used for hydrogen peroxide and ozone detection. For ethylene oxide, metal oxide electrochemical sensors provide a low cost, long life detector offer very good sensitivity, fast alarm response times and small size. ChemDAQ gas monitor manufacturers mainly use electrochemical sensors for toxic gases because of their many advantages. Electrochemical sensors have traditionally suffered from a cross sensitivity problems with other vapours (alcohols are especially troublesome in health care). Cross sensitivity results in false alarms, unnecessary evacuations and eventually a loss of confidence in the gas monitoring system. 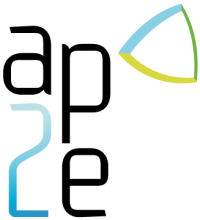 ChemDAQ has developed a proprietary chemical filter that allows the ethylene oxide to pass through but removes most common interferent gases and vapours (including carbon monoxide, ethanol and IPA). The use of this filter allow the ethylene oxide to be detected with all the advantages that electrochemical sensors have to offer, but without the problems of cross sensitivity.